Did you know cedarwood is the oil of community bringing people together who struggle to form bonds within social groups? Cedarwood supports people in seeing that they are not alone. It invites people to both give and receive and experience the joy of relationships. Cedarwood Juniperus Virginiana is an important ornamental and timber tree of eastern North America whose fragrant wood is made into cabinets, fence posts, and pencils. Juniperus Virginiana is a dense slow-growing coniferous evergreen tree that may never become more than a bush on poor soil, but can grow up to 100 ft tall, The oldest tree reported, from Missouri, was 795 years old. 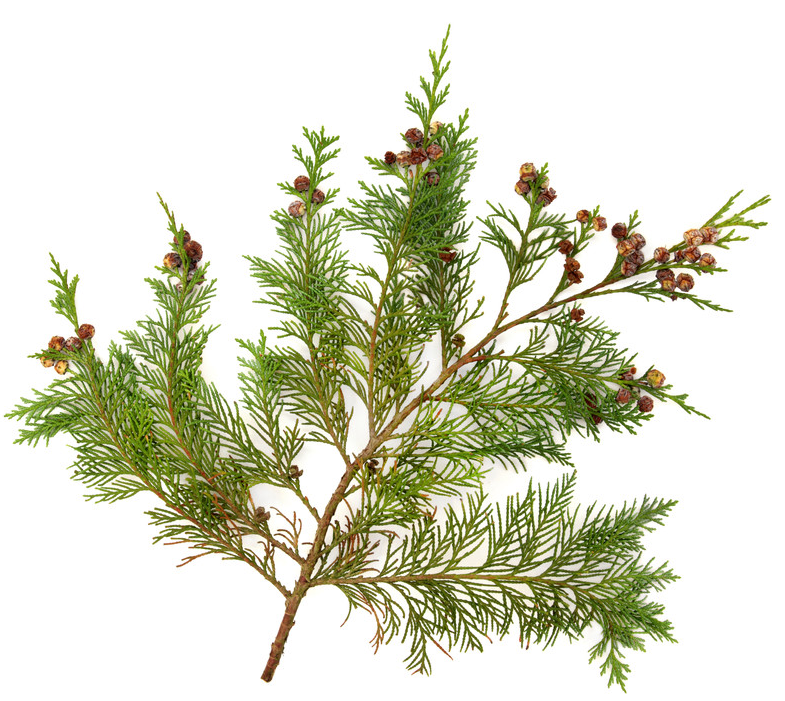 Cedarwood is used by Native American Indians to treat respiratory infections, rheumatism, arthritis, skin rashes, kidney infections and used as an insect repellent. Known for its rich hue and warm, woody scent, Cedarwood essential oil provides a myriad of health benefits that date back to biblical times. Cedarwood is native to cold climates, thriving in high altitudes. Reminiscent of its size and strength, Cedarwood has a grounding aroma that evokes feelings of wellness and vitality. Additionally, Cedarwood is frequently used in massage therapy to relax and soothe the mind and body. Did you know cedarwood is the oil of community bringing people together who struggle to form bonds within social groups. Cedarwood supports people in seeing that they are not alone. It invites people to both give and receive and experience the joy of relationships. Anti-Infectious means an agent that prevents and combats the spread of germs. Basil is cooling to the skin, and can be used to soothe minor irritations. When diffused, Basil helps promote clear breathing, and healthy respiratory function while sharpening focus, and lessening stress. When diluted, Cassia can help soothe sore, achy joints. Cassia can be used in cooking either as a replacement for Cinnamon in pies and breads, or by itself in many different entrees and desserts. Diffusing or inhaling Cedarwood will help maintain healthy breathing and respiratory function and, when applied topically, Cedarwood promotes clear, healthy skin. Cinnamon is strong, so be sure to dilute it (3 drops of carrier oil to 1 drop of cinnamon), but you can cook, bake, or even make candy with it too. The main chemical component of Clary Sage is linalyl acetate, part of the esters group, making it one of the most relaxing, soothing, and balancing essential oils. Clove has been used for years in dental preparations,candy, and gum for its flavor and ability to promote oral health, yet it provides a myriad of health benefits. Coriander has a high linalool content, giving it strengthening and toning properties that benefit the skin, emotions, and body. This oil has been used to promote clear skin and healthy hair, making it ideal for skin and hair care products. It also helps calm nerves and lessen stress. Marjoram oil is noted for it’s calming properties, can be taken internally, or used topically, although sensitive skin may want to dilute and it. 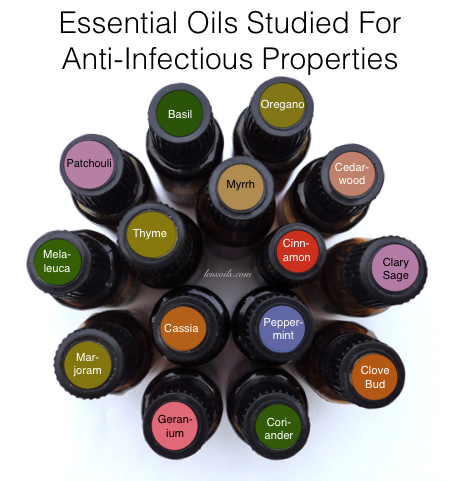 One drop of essential oil is equivalent to 2 tsp. of dried herbs. Melaleuca is best known for its purifying properties. It can be used to cleanse and purify. Taken internally, Melaleuca enhances immunity when seasonal threats are high. Myrrh is valued as an expectorant, which means it promotes the expulsion of mucus in cases of bronchitis and lung congestion. Myrrh is best for chronic conditions, because it contains tannins and resins, it has an astringent effect on tissues. Oregano is one of the most potent essential oils. 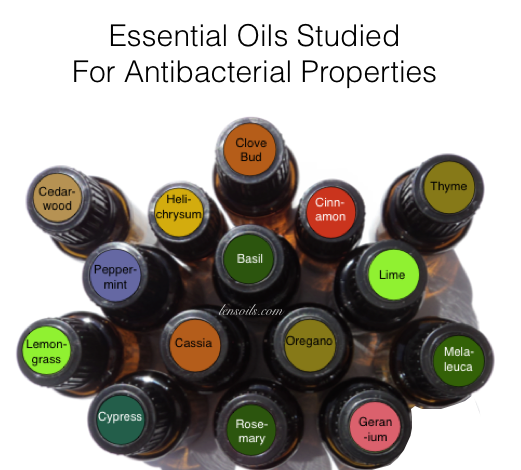 It must be diluted (3 drops of carrier oil to 1 drop of Oregano essential oil when used topically). Apply to reflex points. It can be used as a flavoring in cooking. Patchouli is regularly used in the perfume industry as well as in scented products. The fragrance of Patchouli provides a grounding, balancing effect on emotions. Peppermint is very pleasing to the taste buds (you can add the oil to tea or water), but is powerfully soothing to the digestive system. You can usually apply it without diluting, inhale for nausea, or take internally as suggested. Thyme makes a great defense against many concerns, although it should always be diluted (4 drops carrier oil to 1 drop thyme). You can also cook with it. The term antibacterial refers to anything that kills bacteria or limits its ability to grow or reproduce. Cedarwood will help maintain healthy breathing and respiratory function and, when applied topically, Cedarwood promotes clear, healthy skin. This oil is also used in massage therapy to relax the mind and body. Cypress assists with clear breathing, and promotes healthy respiratory function. It also soothes tight muscles and supports localized blood flow. This oil is helpful for oily skin conditions. Helichrysum is great for regenerative effects, can be used without dilution for most people. No first aide kit should be without this oil. This oil supports healthy digestion, and soothes aching muscles. Lemongrass purifies and tones skin, and acts as an overall tonic to the body’s systems. Lime oil can usually be used without diluting, depending on skin sensitivity, and can be taken internally, but like all citrus oils, it can cause sensitivity to the sun with topical use up to 12 hours prior, so using it before bed is a great option. Rosemary supports healthy digestion and helps soothe sore muscles and joints. This oil also helps reduce nervous tension and fatigue. Thyme makes a great defense against many concerns, although it should always be diluted (4 drops carrier oil to 1 drop thyme). You can also cook with it. This oil has cleansing and purifying effects for the skin.